PHUKET: Tourists who did not manage to board a ferry departing Phi Phi Island earlier today (Jan 3) will have to remain on the island until a ban on all boats leaving port is lifted. The ban on all small boats leaving port in Phuket for safety reasons amid concerns of wild weather from tropical storm Pabuk was instituted by Phuket Governor Phakaphong Tavipatana yesterday. However, the order was ramped up to now include a ban on all boats leaving port by order of Prime Minister Prayut Chan-o-cha this afternoon. 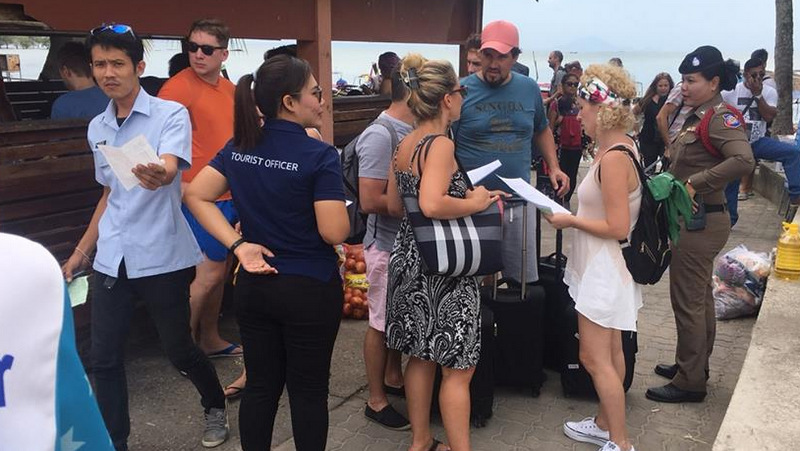 Staff at major local ferry company Seatran Travel, which operates out of the key Phuket terminal Rassada Pier, confirmed to The Phuket News, “The ban now applies to all boats. None of our boats, or anyone else’s, is allowed to leave port. 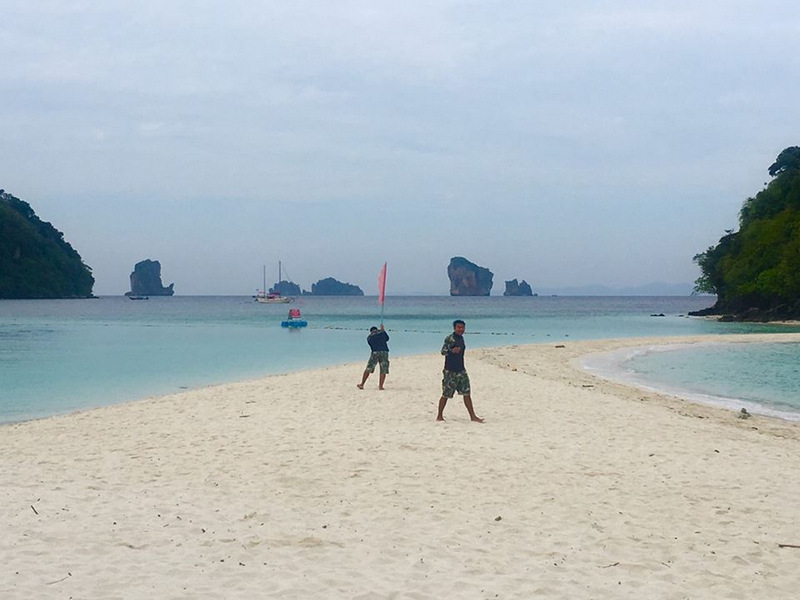 Krabi Marine Chief Chaisiri Khundam yesterday (Jan 2) issued an order banning all boats from leaving port for three days from today (Jan 3) through Saturday (Jan 5). That order was also issued due to concerns for safety as strong winds and high waves are forecast from tropical storm Pabuk, which is expected to make landfall in Champhun and Surat Thani today. "All kinds of boats must not put to sea. This includes small boats, speedboats, ferries and others. They are banned from leaving port,” Chief Chaisiri noted in the order. 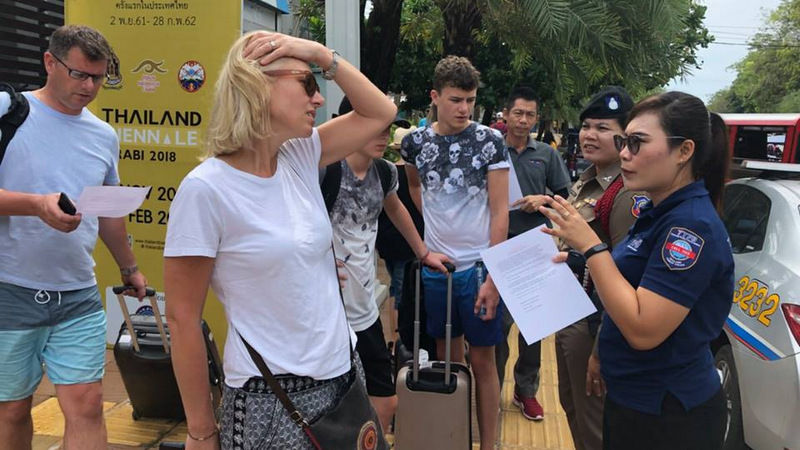 Krabi Tourist Police this morning urged tourists and other passengers to board boats to leave Phi Phi before the ban came into full force. 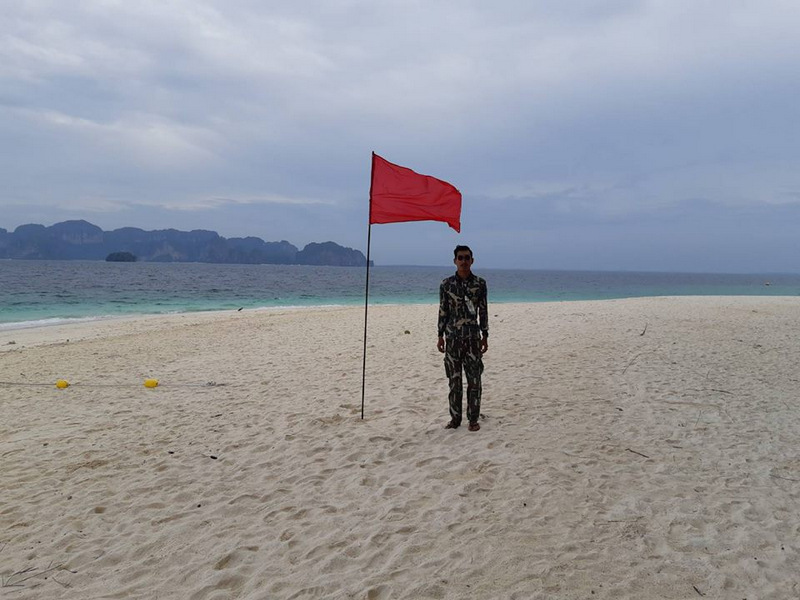 Meanwhile, Haad Nopparat Tara-Mu Koh Phi Phi National Park was also closed today. 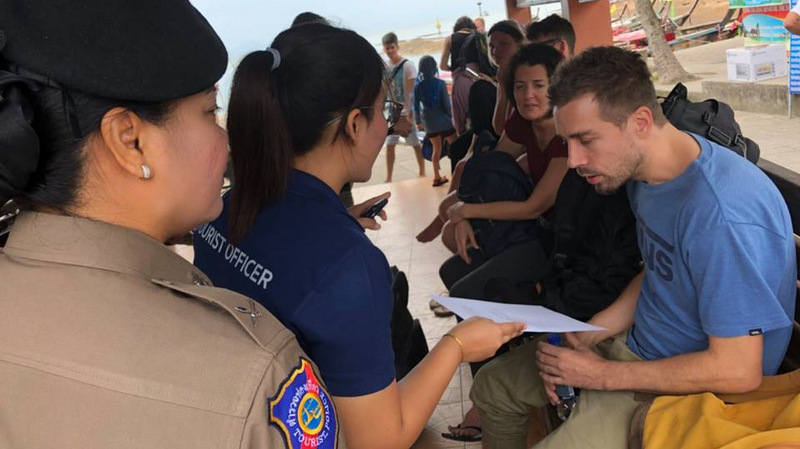 “There were a few tourists still stuck on Phi Phi Island this morning, so I urged officials and relevant business operators on Phi Phi to get the tourists off the island and back to the mainland as quickly as possible,” Park Chief Worapoj Lomlin told The Phuket News. “I have also banned all kinds of boats from entering the park until the weather improves,” he said. “We plan to re-open the park on Sunday (Jan 6), but that of course depends on the weather,’ he said. Similan National Park will also be closed to visitors tomorrow and Saturday (Jan 4-5), Similan National Park Chief Ms Pon-Uma Kongsiri confirmed earlier today.